I’ll be honest. I’m not a fan of 2048 since it distracts students from what I feel would be better use of their times. Like reviewing for the AP Physics exam. 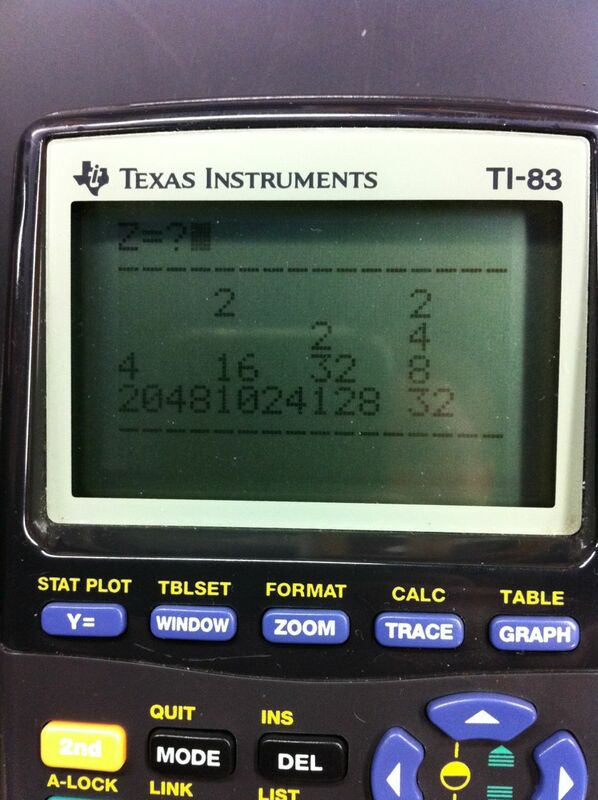 That said, I was impressed when one of my students showed me 2048 on his TI calculator. He programmed it yesterday after thinking of the idea when he was suppose to be reviewing for the AP physics exam.